Edith Hudson has only been chief of the Marquette University Police Department for a month, but she and her family have been Marquette men’s basketball fans for over a decade. 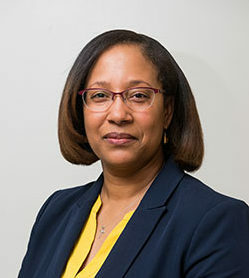 The Gary, Indiana, native and former assistant chief for the Milwaukee Police Department has called the Brew City home for nearly 40 years, and she’s now a proud member of the Marquette community, as she leads more than 80 MUPD officers to protect the safety and security of the university’s students, faculty, staff and neighbors. Edith took a few moments recently to sit down with Marquette Today to talk a bit about her family, love of college hoops and which student club she could use some help from. 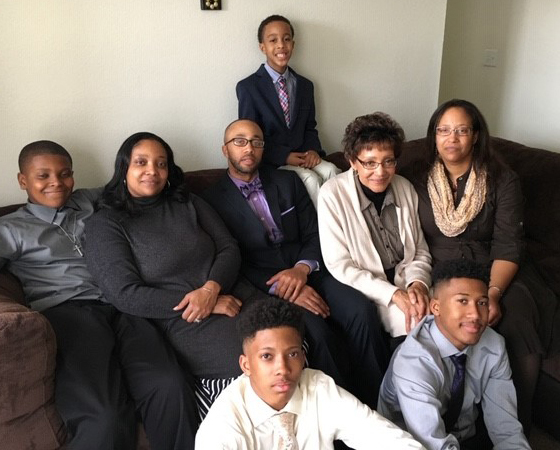 Hometown: I moved to Milwaukee from Gary, Indiana, when I was 10 years old. I graduated from Custer High School. Family: I have two sons, Andrew (30) and Jonathan (18). My boyfriend, Paul, is also an important member of my family. Hobbies and interests: College basketball, track and field, traveling and spending time with my family. Favorite movies: The Harry Potter series. Heroes: My mother, who sacrificed so much to provide me with everything I’ve needed to develop into the woman I am today. Currently reading: Accelerate: Building Strategic Agility for a Faster Moving World, by John Kotter. Favorite vacation spots: Southern California. Biggest career learning experience: The experiences that have impacted me most profoundly are those involving the value and power of teamwork. I have been fortunate to have worked with incredibly talented and creative people throughout my career. This continues to be my experience with my new team at MUPD. I am proud of them and appreciate their dedication to our mission. Fun facts: When I was a little girl, Wonder Woman was my favorite television show. I will run a half-marathon this summer, I love hot yoga and I want to learn to play chess. Perhaps one of the Chess Club members will volunteer to teach me! Also, my family and I have regularly attended Marquette men’s basketball games for the past 14 years. 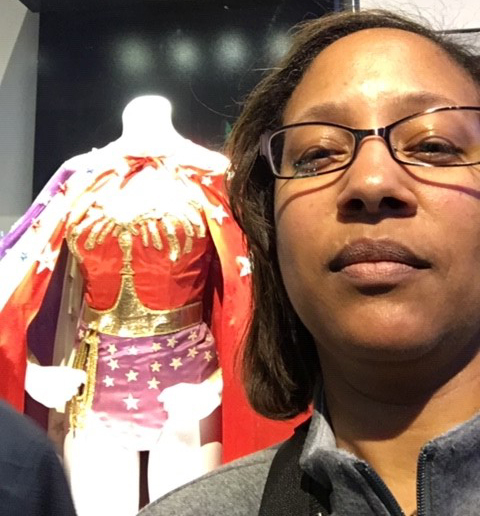 Chief Hudson poses with Linda Carter’s Wonder Woman costume at Warner Brothers Studios.